Distil has released a new bottle for its RedLeg rum brand. Currently available to the trade, the new-look consists of a white-flint bottle, embossed with the RedLeg hermit crab on the base of the bottle and also the front panel. Red Leg crabs are commonly found in the Caribbean, with their brightly coloured legs protruding from their shells, appearing to have caught the sun. 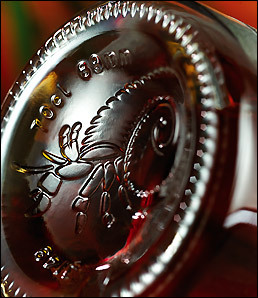 The bottle was created and designed by Leeds-based glass manufacturer Allied Glass. RedLeg has kept the liquid inside unchanged, however it hopes that the redesign will capture its individuality and Caribbean spirit, whilst emphasising quality. Nolan Kane, Allied’s business development manager comments: “We were given a fantastic opportunity to personalise RedLeg's bottle to compliment an already fantastic label. The team worked hard to create a bottle that encompassed the spirit of RedLeg and personalisation that will enhance the consumer's experience of the brand." RedLeg ABV 37.5% is available from Sainsbury's at £20 for 70cl and a number of online outlets.